PSYCHIATRIC NURSES ACROSS the country began industrial action this week in a protest against staff shortages in mental health services. 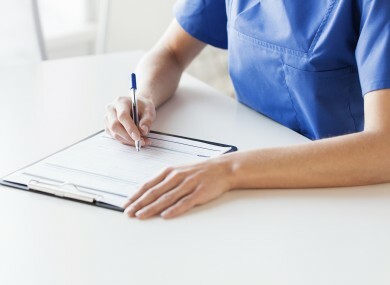 The Psychiatric Nurses’ Association of Ireland (PNA) has said these shortages are heaping immense pressure on staff working in these services and are putting the health of patients at risk. Liah Chambers is a psychiatric nurse working in community services in Tallaght. The focus for her team of nurses is on supporting people with mental health issues in their own homes, so they do not have to be admitted to hospital. They also work with patients who have been released from hospital, to help ensure they do not relapse. The staff shortages mean she and her colleagues are carrying much bigger caseloads and their availability to clients is limited. We try to get them back into everyday life as quickly as possible. From our point of view, it makes it an awful lot more difficult. “We’re asking people in a very vulnerable time in their lives to open up to us. We need to build up on that so the service user feels very comfortable with us and so we can support them in recovery. If they have to explain their story again and again to different people, it makes it hard to develop that therapeutic relationship,” Chambers explained. She said nurses in her service often work overtime because they are conscious of the impact shortages have on their clients. In our job you need to be on the ball all the time and if people are tired, that’s going to be affected. She also pointed out that if there are not enough people working on the ground, there is “an increased risk of assaults and things like that happening”. There are major difficulties, she said in keeping junior staff in positions in Dublin once they have qualified because of their low wages and the exorbitant rent prices in the capital at the moment. “They get their experience in Dublin and go down to the country, where can live at a much more reasonable rate,” she said. We’ve been pushing for a long time for a Dublin allowances to address that. Fintan Cullen is the ward manager at the women’s psychiatric unit in Tallaght Hospital. He says his unit is only able to maintain a decent standard of service by running on overtime and agency staff. “We’re lucky that we can bring in the agency staff, but it does effect with the continuity of care,” he told this website. Our own staff will come on in days of -they’re familiar with the units and familiar with clients and procedure. Very often we’re booking agency staff who are not regular Tallaght staff so they have to be oriented to it. In his unit, he said there is also a lot of pressure on senior staff as there is an “oversupply of junior and less experienced staff”. The newly qualified staff are fantastic, but we do need more senior people there to guide them and often we don’t have that. The overwhelming feeling for Cullen at the moment is worry. I’m worried about the way the service is going. I’m worried we might not be able to maintain the high standard we’ve been providing. We have well developed home-based teams, those teams prevent admissions and I’d hate for our service in Tallaght to lose what we have. The industrial action commenced on Wednesday saw staff refusing to do clerical and administrative duties, but the PNA has been clear that this will escalate if the government does not make tangible commitments. The association will meet tomorrow to discuss its next move. Email “Tallaght's psychiatric nurses 'exhausted and frustrated' by staff shortages ”. Feedback on “Tallaght's psychiatric nurses 'exhausted and frustrated' by staff shortages ”.